Early motorists typically carried spare axles when travelling to remote places: Firmin Bruner, recalling life in Central Nevada mining camps, describes a journey in 1916, that took a day longer than planned when an axle broke and had to be replaced by the spare with a farmer's help. Unlucky motorists might break several axles in succession on a long trip and be stranded till fresh axles could be despatched to them by train. Alongside tire punctures and engine failures, axle weakness was a blot on the saleability of many early cars and trucks. Plainly this was not a situation customers were happy to accept. 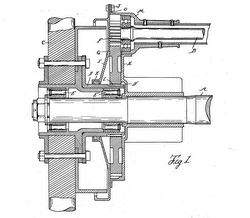 In 1917, Everybody's Magazine listed the various drives available for US trucks: a few direct-shaft and Hotchkiss setups, many chain drives and internal-gear drives and the occasional friction and roller drives (list reproduced in BARBER, some only specified as "worm" or "bevel" gearing). The Piggins was the only make in the list with an enclosed spur-gear drive. Although Piggins Motor Truck was not a commercial success, the company's novel drive system helped to advance a technological race to adapt and improve the dead-axle-and-jackshaft concept as a possible solution to axle failures. 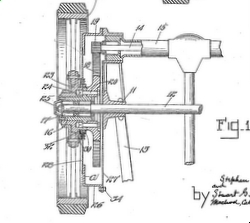 While we have barely any documentation on the Piggins' engineering ideas, we can discover a great deal from reading praise, and criticism, of their ideas in the pages of later US patents. Examining the development of the idea reveals the mechanical genius of the Piggins brothers, a tiny two-man partnership who challenged a design by Clément, one of the fathers of the French automobile industry, and who were in competition with far larger and better-resourced engineering bureaus in Detroit and the rest of the Mid-West. The evolution of the Piggins and Clément axles helps to explain why one of the most difficult problems in the early history of automotive engineering took so long to solve: solutions were sought by experimentation, producing cars which the customers had to road-test. The Piggins external spur gear type, in which the spur gear carried on the wheel is not annular in form, but is a solid disc. The pinion powered by the drive-shaft meshes with the outside of this spur gear. 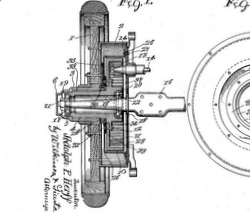 The brothers argued that this was best because (a) it remained well meshed during the rocking and swaying of the wheels and (b) allowed the use of larger, more robust gears. By contrast, pinions in the internal-gear type are inherently limited in size by the annular ring surrounding them.